Includes 30 lessons and reading instruction on 16 CDs (16 hrs), plus a Reading Booklet and User’s Guide. Whether you want to travel, communicate with friends or colleagues, reconnect with family, or just understand more of what’s going on in the world around you, learning Russian will expand your horizons and immeasurably enrich your life. In the final 10 lessons, you’ll be speaking and understanding at an intermediate level. 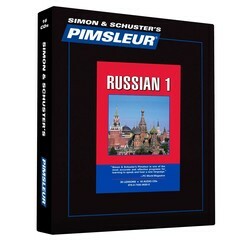 In this phase, more directions are given in the Russian language, which moves your learning to a whole new plane. Lessons include shopping, visiting friends, going to a restaurant, plans for the evening, car trips, and talking about family. You’ll be able to speak comfortably about things that happened in the past and make plans for the future. Reading Lessons are included at the end of Lesson 30 to provide you with an introduction to reading the Russian alphabet. 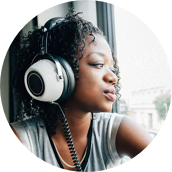 These lessons, which total about one hour, are designed to teach you to sound out words with Russian pronunciation and accent. A Reading Booklet to be used with the audio lessons is also included in PDF format.